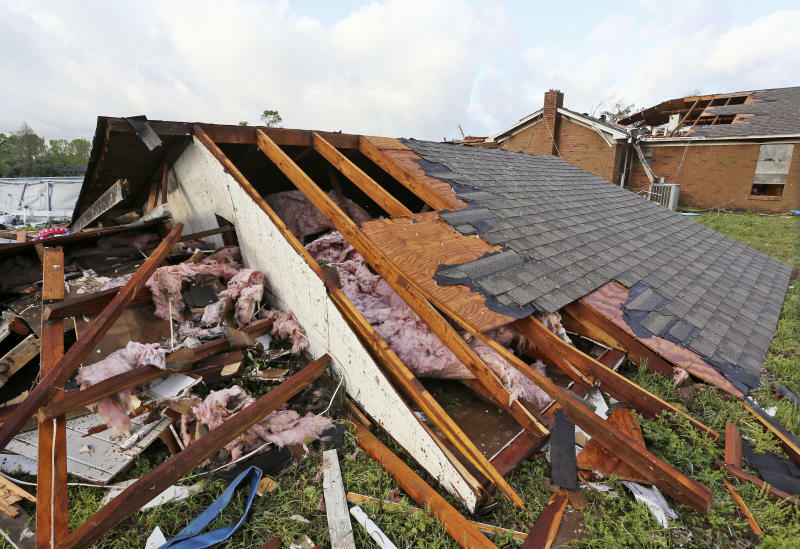 April 14 (Reuters) – Weekend tornadoes killed at least five people, including three children, in the U.S. South, authorities said on Sunday, as a massive storm system with damaging wind and hail moved across the country and began drenching East Coast states. „We’ll be seeing severe weather from Florida to New York, with the most unstable parts so far in Georgia,” said meteorologist David Roth of the National Weather Service (NWS) Weather Prediction Center. „Whenever you have a tornado watch, you also have threats for severe thunderstorms,” he added. „It could have been much worse,” Bryant told reporters after issuing an emergency declaration for the affected areas, including Monroe County where a curfew was ordered from 8 p.m. Sunday through 6 a.m. Monday. „There is concern that the severe thunderstorms with downpours and strong gusty winds continue to march across the Mid-Atlantic, southern New York and into southwestern New England on Sunday night,” said Kristina Pydynowski, AccuWeather senior meteorologist. In Texas, almost 2,000 flights were delayed or canceled Saturday and Sunday into and out of Dallas-Fort Worth International Airport as high winds and occasional hail buffeted the area. 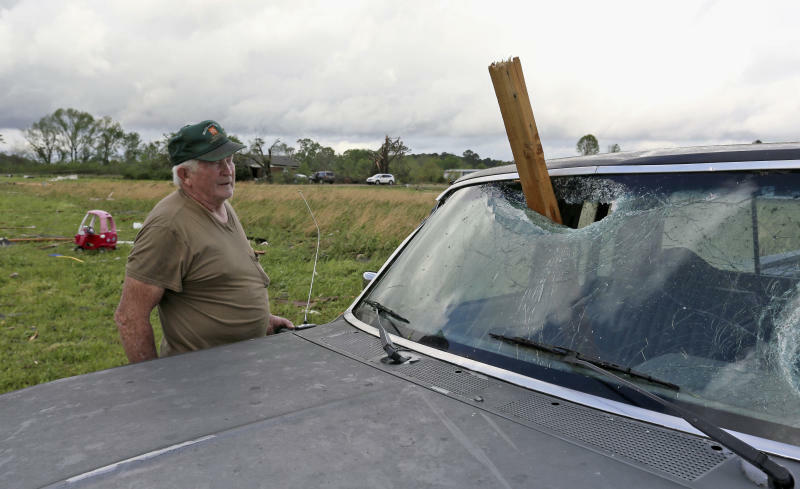 Almost 200 miles to the Southeast, the Angelina County Sheriff’s Office said two children were killed Saturday when strong winds toppled a tree onto their family’s car. „The south side of Franklin looks like a war zone,” County Sheriff Gerald Yezak told Patch.com. Starkville is home to Mississippi State University, and thousands of the school’s 21,000-plus students were huddled in basements and hallways as the storms roared by. The school’s crisis team was assessing the damage, spokesman Sid Salter said Sunday, adding that damage appeared to be minimal. „The storms will take on more of a squall line set up with the greatest threats being from damaging wind gusts, flash flooding and lightning strikes,” AccuWeather Senior Meteorologist Alex Sosnowski said. 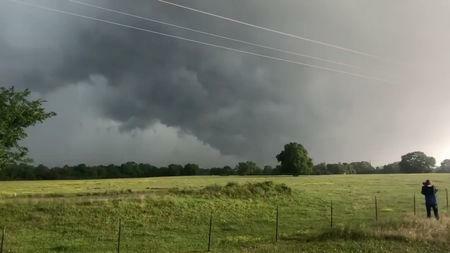 Chief forecaster David Tillman is tracking the severe weather moving through the Louisiana area. „So much of the Eastern United States faces the risk of severe weather today, and that includes major cities,” Oravec said. „It’s still a pretty impactful day today. This morning there is a lot of heavy rain moving through Alabama, into Georgia and eastern Tennessee. There are a few tornado warnings and heavy thunderstorm warnings,” Oravec said. „The biggest impact rush hour-wise probably will be Boston, around 7 to 8 o’clock in the morning and around New York City around 5 or 6 o’clock, before sunrise,” Oravec said. A polar plunge bringing cold temperatures from Scandinavia with it has taken over much of the UK this weekend. Temperatures in the day are set to reach 11C today, Saturday April 13, but a wind chill will make it feel as low as 3C in some areas across the country. The Met Office has warned that the weather is likely to be mixed throughout May. They tweeted earlier this week: “Have you heard about the chillier weather on the way? Forecaster Craig Snell told the Mirror Online: “Towards the end of the day, there will be some rain reaching for the west of Cornwall and the western parts of Northern Ireland. “Temperatures will slide to 10-12C in the west of the UK, whilst the east will increase to 8-10C. The forecast said: “The weather is most likely to be rather mixed with showers or longer spells of rain. “The most widespread rain is expected to affect northwestern parts of the United Kingdom. “However, all areas can also expect some drier and brighter interludes. Wales and the South East are set to be the warmest places in the UK this weekend and severe coastal winds are expected to hit Scotland and Northern England. LONDON (Reuters) – Floods caused by heavy rain across Iran in recent weeks have caused an estimated $2.5 billion in damage to roads, bridges, homes and agricultural land, state media cited ministers as telling lawmakers on Sunday. „The recent floods are unprecedented… 25 provinces and more than 4,400 villages have been affected,” Interior Minister Abdolreza Rahmani Fazli was quoted as saying in parliament by state news agency IRNA. 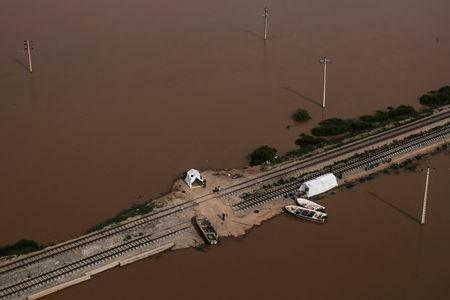 Fazli said the floods had caused around 350 trillion rials ($2.5 billion) worth of damage. Minister of Roads and Urban Development Mohammad Eslami said 14,000 kilometers (8,700 miles) of road had been damaged and more than 700 bridges completely destroyed by landslides and flood water. The government has said it will pay compensation to all those who have incurred losses, especially farmers but the Islamic Republic’s state budget is already stretched as U.S. sanctions on its energy and banking sectors have halved Iranian oil exports and restricted access to some revenues abroad. Morteza Shahidzadeh, head of Iran’s sovereign wealth fund, said President Hassan Rouhani had asked permission from the Supreme Leader Ayatollah Ali Khamenei to withdraw $2 billion from the fund for reconstruction in flood-hit areas. Shahidzadeh said Khamenei has in principle agreed to the request. Iranian officials have repeatedly said the massive floods have not affected production and development at any oilfields, nor impeded the flow of crude through pipelines to recipient markets. Karim Zobeidi, an official at the National Iranian Oil Company, was cited as saying on Sunday that it was still too early to estimate the extent of the flood damage to Iran’s energy sector. Mehr news agency also quoted Zobeidi as saying that some oil wells in western Iran had been closed as a precaution to guard against any flooding.